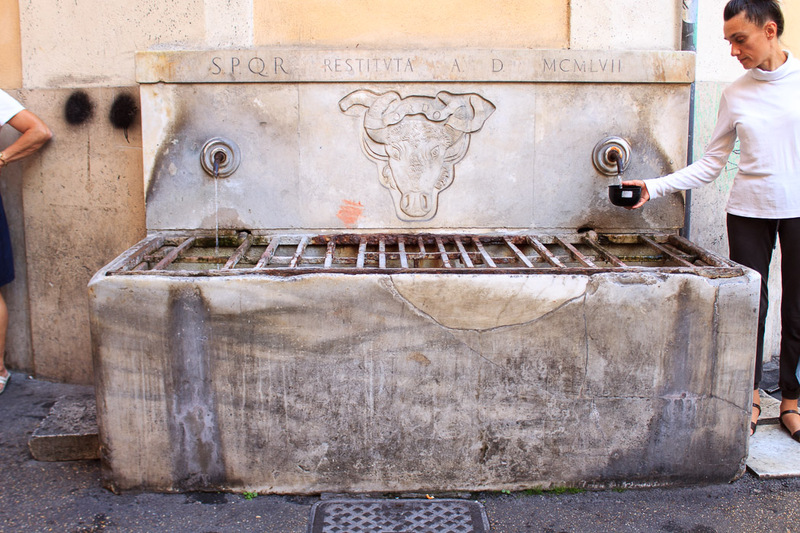 The Fountain of the Buffalo is a simple basin against a wall with two water spouts flowing into it. A buffalo is carved into the backsplash. The inscription states that the fountain was restored in 1957. It's located just two blocks north of the Trevi Fountain, at Via di Nazareno and Via di Bufalo. See all Fountain of the Buffalo photos.